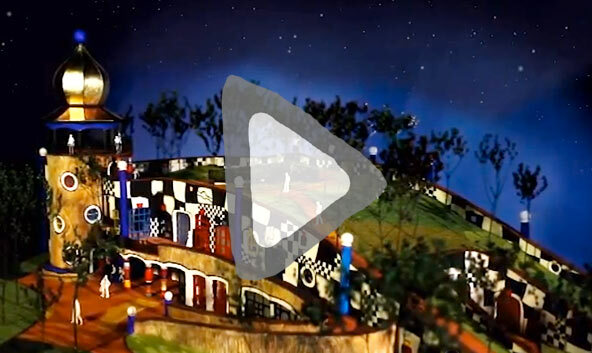 The Hundertwasser Art Centre Project needs bricks – 2000 of them – to build Te Kakano formerly known as the Folly, and we are asking Whangarei residents for help. “Exciting and crazy-busy!” is how project director Andrew Garratt describes the status of the Hundertwasser Art Centre project. For the past six weeks Hundertwasser HQ has been hiding behind papered-out windows, preparing for the launch of the Hundertwasser Art Centre community fundraising campaign. with the financial support of our community. “Exciting and crazy-busy!” is how project director Andrew Garratt describes the current status of the Hundertwasser Art Centre project. A copy of Friedensreich Hundertwasser’s original Koru Flag has been removed from the longlist of designs being considered for the NZ Flag Referendum. Whangarei’s biggest community-led project is officially ‘full steam ahead’ says interim project director Andrew Garratt. Whangarei’s biggest community project will be known as the ‘HUNDERTWASSER ART CENTRE with Wairau Māori Art Gallery’.